Ownership of the Website: This website and domain name amalherbs.com are owned and operated by Amal Khalifah Enterprise (AS0361791-K). Terminology: When we refer to "you" and "your", we mean the user of the Website and purchaser of goods. Terms and Conditions are bind to you: These terms and conditions form a legally binding contract between us and you. Your acceptance of the terms and conditions is given when you purchase goods from us. You should read these terms and conditions carefully before buying anything from this Website. Terms and Conditions can be changed at any time: We reserve the right to change the terms and conditions under which Website and the Goods are provided. Any changes in terms and conditions will be effective to all new orders once included in the text of these terms and conditions and published on the Website. You should check the terms and conditions posted on the Website periodically to ensure that you are aware of and comply with the current version. This part sets out some terms about information on the Website and descriptions of Goods. Intellectual property rights of the website: The intellectual property rights in all software and content made available to you on or through the website is our property or the property of our licensors and all such rights are reserved by us and our licensors. You are not permitted to publish, manipulate, distribute or otherwise reproduce, in any format, any of the content or copies of the content supplied to you or which appears on the Website nor may you use any such content in connection with any business or commercial enterprise. Trademark license: Amal Herbs is a trademark belonging to Amal Herbs Centre and no license or consent is granted to you to use these trademarks in any way, and you agree to not to use these trademarks or any trademarks which are colorable similar without our written permission. Descriptions on Website and Goods: We try to make sure that all information on the Website, including descriptions of our Goods and listed prices, are accurate and correct at all times. However, mistakes do happen. 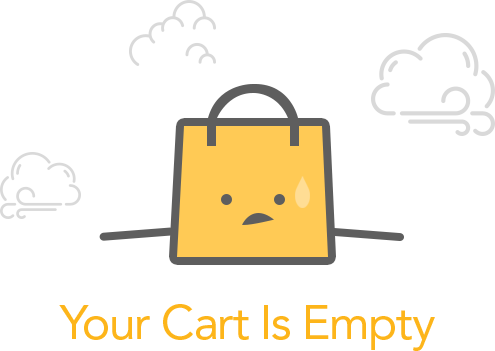 We will try to resolve all information errors on the Website as soon as reasonably possible, and if we reasonably think that such an error has affected your purchase of Goods we will try to notify you. However, because we take these steps we will not be liable to you for any errors on the Website. Your order only constitutes an offer to purchase Goods from us, and does not form a binding contract until accepted by us. Where you order more than one product or that your Order contains a series of price offers for every product. Acknowledgement of Order: On the receipt of your Order, we will send you an order acknowledgement e-mail to the e-mail address which you provide in the Order process. This Order acknowledgement e-mail will contain your Order number, details of the Goods ordered and a delivery estimate. Note that this e-mail is only to acknowledge that your order has been received, and is not a acceptance by us of any offers to purchase Goods. Condition of processing your order: We must receive full payment both of the price of the Goods and any delivery charges before we can accept any offers. Should you select to pay by credit or debit card we will process the payment at the time of preparing your Goods for dispatch with the exception of from 90 minutes orders, whereby payment will be processed upon receipt of your Order. Acceptance of Order: An offer made by you to purchase a product shall only be deemed to be accepted by us when we dispatch that product to you and send you an Order dispatch e-mail which includes detail of the product. WE reserve the right to refuse any offers in an Order prior to acceptance,. If a product is not available we will include details of the unavailable product in the Order dispatch e-mail. A product which is not available will not be included in the contract for a product which is dispatched. Currency displayed: All prices and charges on the Website are on default Ringgit Malaysia (RM). Different currencies can be changed at the website option to the United State Dollar (US) or Singaporean Dollar (SG). Delivery time is only estimate: We endeavor to ensure that the products that you order are provided by the agreed delivery date and where applicable time, however delays are occasionally inevitable due to unforeseen circumstances. Neither Amal Herbs, Amal Khalifah Enterprise or nominated carrier shall be under any liability for any delay or failure to deliver the Products within the estimated time frame. Risk of loss and damage of products passes to you on the date and time of delivery of the products. We accept return up to 14 days after you have received your order. Please take note that delivery charges and coupon used will not be refunded. If you are returning a product, please first contact us at [email protected] or Whatsapp 6010-3788323 will provide you with further instruction. If breaches on any of the conditions above occur, we hold the rights to refuse a refund. Customers who are returning their products are advised to use a delivery service that allows you to track your own parcel tracking of your parcel, as we do not bear the responsibility if the parcel has gone missing. Please remember to complete the return form with your returned product(s). The cost of returning the item to us is your responsibility. Please note that we only allow one-time return per order (Order made using store credits will not be considered as new order). Promotion offered on the Website is only available on the Website and not at any of others website. Jln Kodiang, 06100 Kodiang, Kedah. Malaysia.